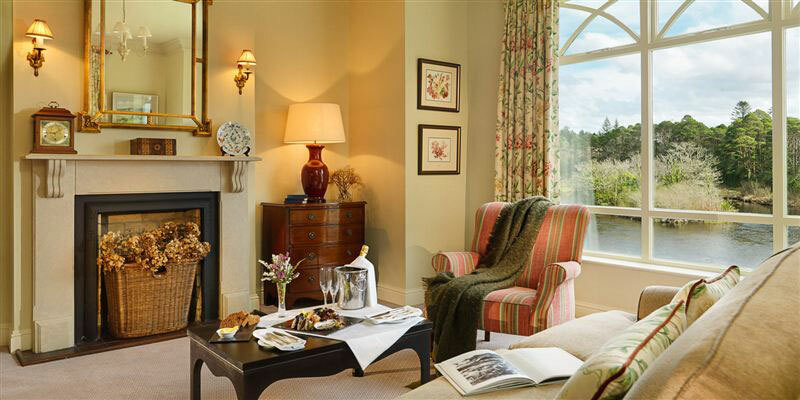 Our beautiful riverside suites, enjoy unrivaled comfort with spectacular views over river and woodland. Our one bedroom suites occupy 645 square feet the two bedroom suites occupy 882 square feet. Beautifully appointed bathrooms with separate dressing rooms and exquisite furnishings combined with a magnificent 4 poster bed and a spacious lounge to provide that sense of luxury. The second room offers the option of twin beds or a king size double. This room has views to the gardens.